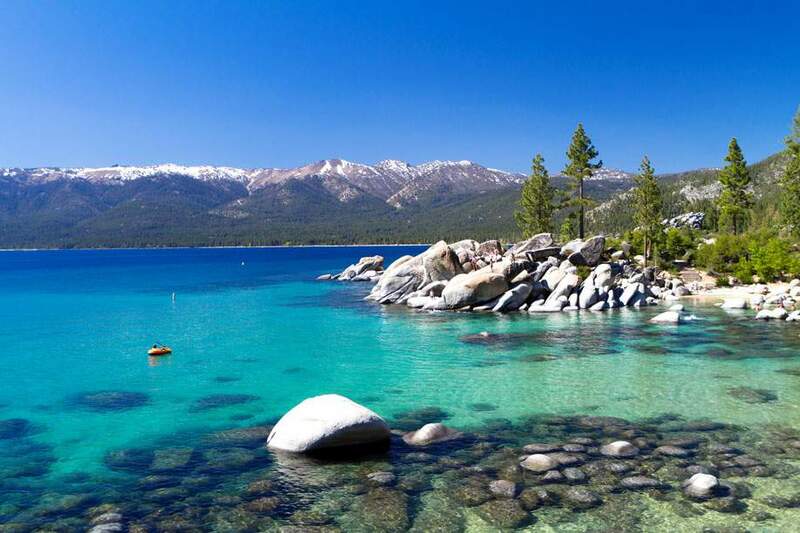 The sun is shining and the current weather is ideal for a visit to Lake Tahoe. As the summer weather is ending, Tahoe now is a place to enjoy without the copious amounts of people to plan your day around. Simply because it is in between seasons does not mean there is not plenty of activities to enjoy. In fact, due to the fact that the crowds have subsided it is an ideal time to visit, play or look at North Lake Tahoe real estate if you have ever had an interest in primary or secondary home ownership. If you are a Squaw Valley devotee, during the month of October, the calendar of events is full of various activities. Gretchen Morgenson will be presenting “Uncommon Conversations” in the Valley. The Harvest Festival, at the Resort at Squaw Creek, is an educational and interactive experience for all ages and everyone enjoys the outdoor, weekly movies in the heart of the village. Those who enjoy a nice day at the spa have many options and can take advantage of all the great deals due to the current season. The Spa at Squaw Creek and Resort is always a 5 star experience. Lighthouse Spa, located in Tahoe City, on the North shore of Lake Tahoe, is another sought out spa destination. They offer Outcall massage so you do not have to leave your room. The rates are comparable to going to their location. Massages begin at 30 minutes for $100, 60 minutes at $130, 90 minutes at $160 and 120 minutes at $200. Call 530-583-8100 to make an appointment. The Clearwater Day Spa at Tahoe, in Tahoe City is in the heart of the city and is another choice for the spa aficionado. The Resort at Squaw Creek and The Hyatt Regency Lake Tahoe, Spa and Resort always provide exceptional services. Golfing is a pleasure during this time in the Lake Tahoe basin area and around every corner there are spectacular courses to choose from. If you have plans to be in Squaw Valley, Call 530.581.6637 in advance to book a round of golf at the Resort at Squaw Creek. Driving from the Bay area you can stop at the Coyote Moon golf course to break up your trip before arriving in Lake Tahoe. To play 2 of the finest course in north Lake Tahoe, visit Grey Crossing and Old Greenwood. Both golf courses are cherished and frequented by the locals and accomplished golfer. For more information on things to do in the Lake Tahoe area visit a Calendar of Events at http://www.laketahoe.com/events to consider your options. Regardless, of the many activities, needless to say the winter season is just around the corner. While in your shorts, comfortable to organize your gear, it is never too early to determine if you have all the equipment you need. If you desire or require any new snow equipment, take note of the ski swap and plan your trips accordingly. The drive will pay for itself. While you are in the area visit us at Century 21 Lake Tahoe and prospect north Lake Tahoe homes for sale. One of the larger Ski Swaps in North Lake Tahoe is on October 23, 2012. It is in Truckee, CA at the North Tahoe High School Gymnasium. Remember, the clock is ticking for the great ticket and ski passes before the snow season begins. There are many deals that you can take advantage of if planned properly. Click accordingly, to get more information about pre-season pass deals and Ticket prices for the Lake Tahoe Resorts. If you are an avid skier or snowboarder and would like to know more about local backcountry, contact us and we can steer you to a place you have probably never been before.